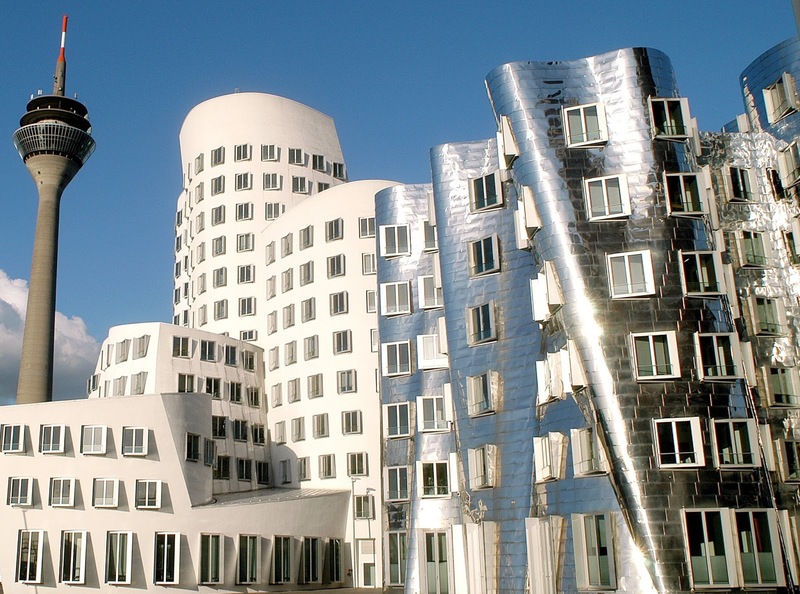 While considered by many as a business destination, Düsseldorf should really be on the vacation list for anyone who loves art and architecture. 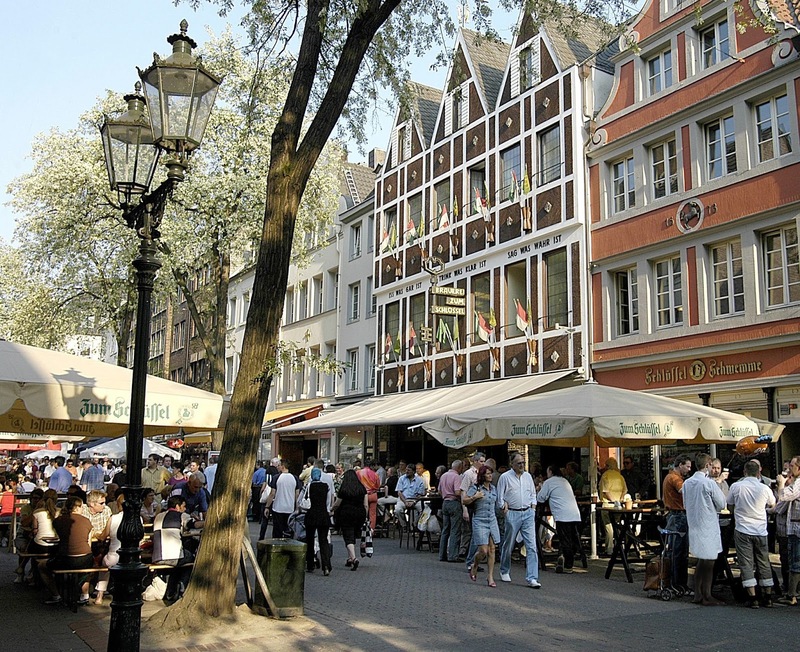 Situated on a lovely stretch of the Rhine River, it has fabulous museums, great architecture, and famous beer. 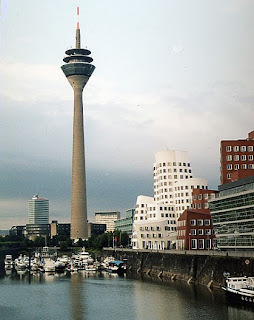 Founded on August 14, 1288, Düsseldorf is celebrating its 725th anniversary--another good reason to visit now! Düsseldorf’s old Rhine harbor has been transformed into Media Harbor, a trendy residential and business area for creative industries--advertising, art, and media. Several top, international architects designed buildings for the area. 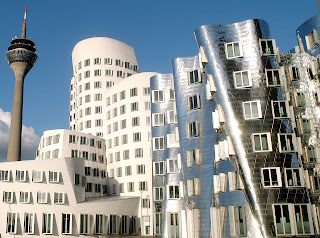 Frank Gehry’s magnificent Neuer Zollhof will knock your socks off as will William Alsop's stunning Colorium, on the other side of the Rhine. In addition to the “starchitecture,” there are lots of cool restaurants and bars in this revitalized district. Langen Foundation: Internationally-renowned architect Tadao Ando designed a stunning museum to house a unique Japanese art collection as well as changing exhibits of contemporary art. 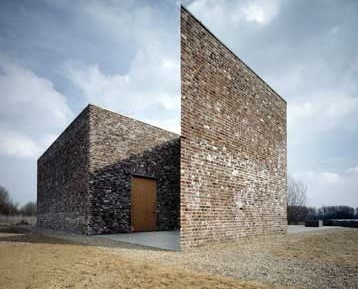 Insel Hoimbroich: Art pavilions in a nature preserve. The tours are lead by artists; you can also have lunch in their wonderful café. After all that museum-hopping, relax over a cold brewski. Düsseldorf is famous for a particular kind of beer, Altbier, which is top-brewed, copper-colored, and tart with a distinctive hops flavor. 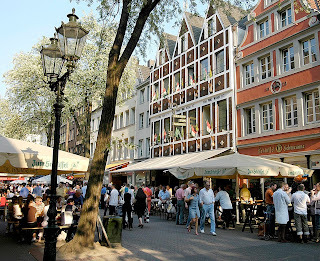 The best place to taste test it is in Altstadt (Old Town), a charming, part of the city with a lively stretch of some 260 bars and restaurants, known as the "longest bar in the world." Fashionistas rejoice. Düsseldorf is as well known as Milan, Italy for fashion fairs and collection premieres. You can do some designer shopping along the lovely, tree-lined boulevard Königsallee at these boutiques: Armani, Gucci, Kenzo, JOOP, Prada, Jil Sander, Uta Raasch, Burberry, Onofri, Féraud and discover some Düsseldorf originals such as Sabine Schumacher, Peter O. Mahler, and Renate Harvan. People in glass houses shouldn’t throw stones, they should have lunch or dinner. Enjoy a tasty meal in one of the all-glass restaurants along the Rhine riverside: KIT Cafe or the Lido with a view of Media Harbor. Delta, Lufthansa, and AirBerlin all have direct flights from several US gateways, as well as flights from Berlin. In Germany, there’s an excellent train network between cities; you can even get your tickets before you leave through RailEurope.